Get 23 individual sheets of Art Foam Cardstock for one low, incredible price. 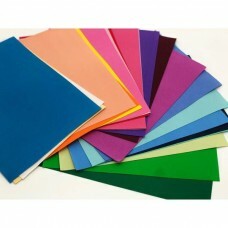 Our A4 art foam sheets are delicate, colourful and soft. At 0.8 mm thick they are easy to manipulate and perfect for flower making. Suitable to use with most dies. DescriptionDelicate, colourful and soft 0.8mm thick. Easy to manipulate and perfect for flower makin..